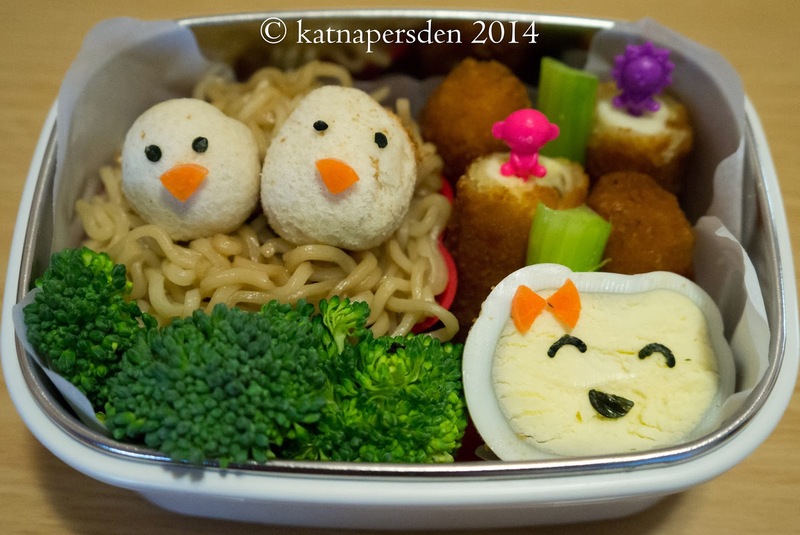 Kiddo had requested noodles for today and I found a bento online in which the noodles became a nest with little onigiri chicks. I figured, the Kiddo had rice yesterday so I thought to change it up to a sandwich today, hence the little cheese sandwich ball shaped into chicks. Bento #16: Knight in Shiny Armor? Bento #6: See Three P.O. ?